What is the operating frequency range of the system? How much gain is required? What kind of radiation pattern is desired? What is the maximum allowable VSWR? What type of connector interface is required? How much power will the antenna have to handle? Where will the antenna be mounted? What is the lifetime of the antenna? This entry was posted in Tech, Wireless and tagged WiFi. 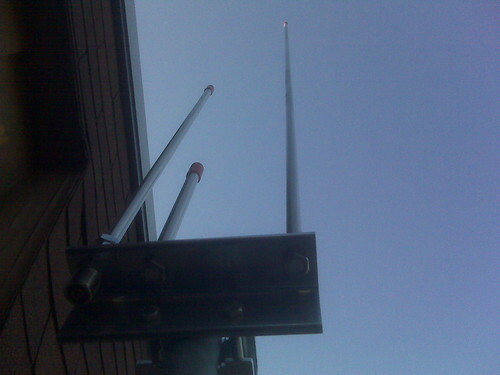 An Omni-directional antenna is usually described as a low-gain, dipole-like antenna, while Directional antenna is one with a predominant beam in one direction and significantly more gain. Using another antenna, whether indoor or outdoor, is one of the options you have for extending your wireless (WiFi) network. In deciding which of these two antennas you should be using, you must consider the range that you want to achieve as well as the obstructions/interferences that are present. Like for example, would you want to focus the signal to one direction only, that is towards the other building, or to two buildings on opposite sides of the central one? If to only one building, then maybe you could consider a directional antenna, otherwise, an omni might be more practical. Also, consider the walls that might be obstructing the area you wish to reach with your wireless signal. If there are too many obstructions, you might also consider putting up wired connections in addition to the wireless part. Do look and compare the gain, the direction, and polarization of various antennas if you do wish to purchase one and evaluate if it is what you wish to achieve for extending the range of your wireless network. Extending the wireless range of your existing network is possible through the use of a wireless repeater. It may also be that your existing router may just need a firmware upgrade which will enable other features of the hardware, such as an increase in the router’s transmission strength. To know if a specific router can be used as a repeater/bridge, a list of supported devices is available on the DD-WRT website. However, using a repeater bridge for your wireless network has the downside for a client of not having the optimum speed in accessing the internet (if connected via the repeater). 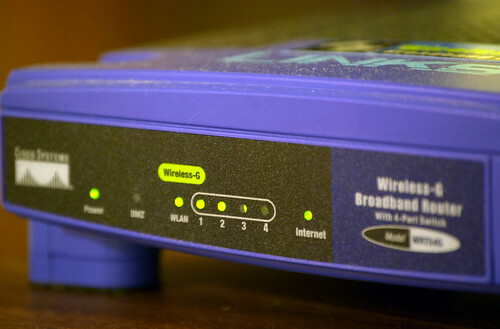 A repeater bridge will sacrifice half of the bandwidth available from the primary router for clients wirelessly connected. This is the result of the repeater taking turns talking to two partner devices, and having to relay traffic between them. Other things to keep in mind to improve your wireless network are positioning your wireless router in a central location and moving it away from obstructions such as walls and metal objects. 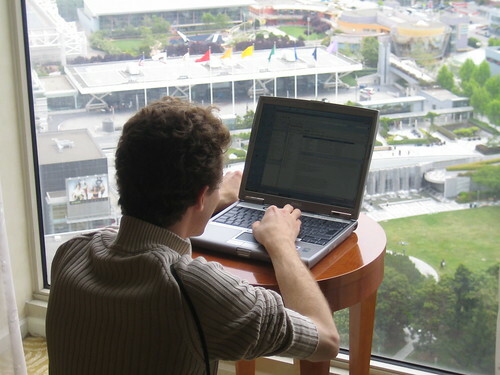 A router’s antenna can also be replaced with a better one which has a better dBi gain. You can also change the wireless channel used to minimize interferences. Bluetooth Special Interest Group (SIG) will officially announce Bluetooth 3.0 on April 21st. This is the new Bluetooth that will allow high-speed data transfers through the use of WiFi. Users will hardly notice the switch of Bluetooth to WiFi, except for the sudden increase in data transfer speeds. No actual wireless network will be necessary for this. There will also be a new feature called Enhanced Power Control which will reduce the incidence of disconnects caused by movement such as placing a phone in a pocket or purse. This will be a plus for the headset and handset people. On the technical side, according to Engadget, it is a Generic Alternate MAC/PHY (AMP) that will enable Bluetooth profiles to take advantage of 802.11 speeds. The 802.11 Protocol Adaption Layer (PAL) will enable the Generic AMP feature to be used with an 802.11 radio. This entry was posted in Gadgets, Tech, Wireless and tagged WiFi.